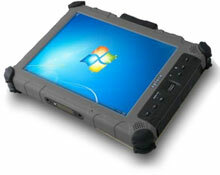 The Xplore iX104C5 DM (Dual-Mode) is the most rugged, powerful and flexible Tablet PC in its class. It is ideal for ambient outdoor or indoor light conditions and provides reliable operation in the most challenging environments. The Xplore 01-23010-3EK2T-00T03 is also known as 01-23010-3EK2T-00T03	or 01230103EK2T00T03	.